Amit Kapoor teaches the craft of telling visual stories with data. He conducts workshops and trainings on Data Science in Python and R, as well as on Data Visualisation topics.His background is in strategy consulting having worked with AT Kearney in India, then with Booz & Company in Europe and more recently for startups in Bangalore. 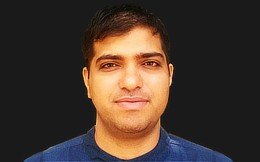 He did his B.Tech in Mechanical Engineering from IIT, Delhi and PGDM (MBA) from IIM, Ahmedabad. Make sure you don’t miss this workshop on applied machine learning.